When leaders are empowered to make their vision for transformation a reality, incredible things happen. Because of you, this is happening in communities around the world today. Following the ways of Jesus - leaders are being trained to listen and come alongside locals, allowing entire communities to find long-term transformation. 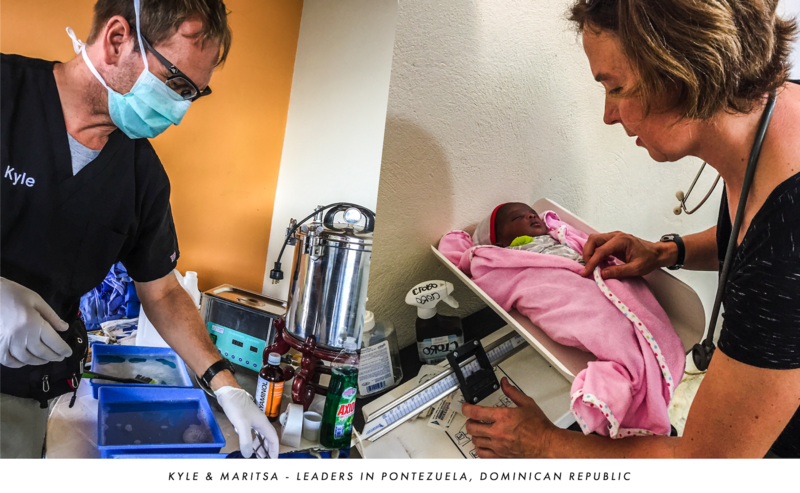 Kyle and Maritsa are leaders with One Collective in the Dominican Republic and share below how they have seen transformation beginning in their community. “When we first moved to Pontezuela just over a year ago, we joined a community where we saw incredible need. There is over 60% unemployment here, and every day we meet people who don’t have access to food. Kids are not being educated and don’t know how to write their own names. The lack of access to basic medical care is heartbreaking. We have spent the past year building relationships with these beautiful people, and in the process, we met a gifted community leader named Pastor Stanley Philippe. Pastor Stanley has been a unifying force for this community. The church here is a microcosm of the different struggles of community members, and when we first met Stanley, he shared with us a vision for what transformation across the community could look like. Jesus modeled this kind of transformation for us by meeting the whole needs of the people he encountered (economic, physical, and spiritual). Pastor Stanley shares with us an incredible passion to see this vision for transformation happen in the community. Since that first conversation, we’ve seen God working in incredible ways - The church here has planned the construction of a community center that will help bring health, education, food, and job training to community members. The church provided a plot of land for construction to begin, and through One Collective, we were able to connect with passionate donors who shared this vision. Because of their help, we were able to start construction immediately, and we are already beginning work on the second floor of the community center. Construction isn’t finished yet, but the community center is already being put to use. In the morning, a feeding program serves 70+ kids, and we have English classes, job training, and adult education happening in the evenings. All around the world, you will find communities with oppressed and invisible people - and in almost every one of those communities, there are already passionate locals like Pastor Stanley who see surrounding needs. So often, they lack the resources or training to meet them in a sustainable way. This is why your help is so important – by supporting the development of leaders - you empower communities to bring their strengths together. You empower communities around the world to find sustainable, long-term transformation.